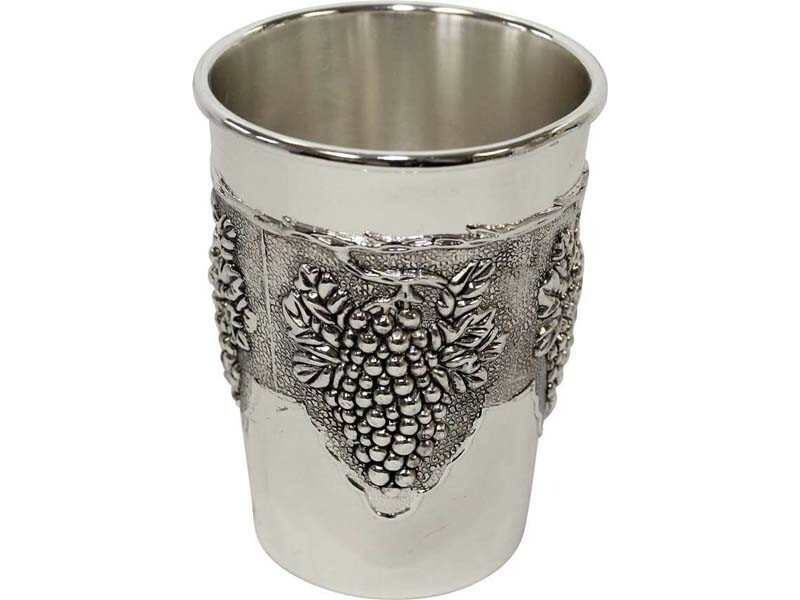 This Kiddush cup is nickel plated with a rounded rim. A grape design around its center gives this Kiddush cup its traditional look. Its reasonable price makes it a wonderful choice as an extra piece or for young adults who enjoy having their own Kiddush cup.